The main components of the medical history are basically the same for geriatric patients as for younger patients, except for the chief complaint and the family history. With the exception of a family history of Alzheimer's disease, the family history is less important for geriatric patients than for younger patients. For example, the fact that a family member died of a myocardial infarction at 60 years of age is relatively unimportant for a patient who is already in his or her 80s. It is also often difficult for an older patient to remember how and when relatives died. Before beginning the history, determine whether there is an impairment of hearing, vision, or cognition. A quick check of these three functions is mandatory. Ask the patient whether he or she uses any assistive devices (e.g., hearing aid, glasses, cane, walker, wheelchair). If so, evaluate the condition of the device. Is the patient using the device properly? Ask the patient how the device was obtained;often these devices have been given to the patient by friends or family members or have been left by deceased spouses. If there is a hearing impairment, sit facing the patient, as close as possible and at ear level with the patient. Make sure that the patient is wearing, if required, the hearing aid or other assistive device. Try to minimize both audible and visual distractions. Speak in a slow, low-pitched, and moderately loud voice. Allow the patient to observe your lips as you talk. Finally, confirm with the patient that he or she is being understood by repeating portions of the history. 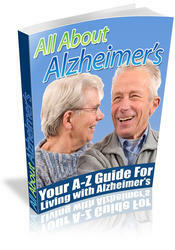 Because many older patients have memory deficits or dementia, it is frequently necessary to obtain a confirming history from a family member or caregiver. All support systems must be evaluated. These include family, friends, and professional services. Ascertain diet because many older patients have poorly balanced diets. A comprehensive geriatric assessment is an essential component of the history. It ensures that the patient's many complex health-care needs are evaluated and met. Every geriatric history must include a comprehensive assessment of activities. Measures of the patient's ability to perform basic activities, called activities of daily living (ADL), must be gathered. These activities include bathing, dressing, toileting, continence, feeding, and transferring in and out of bed or on and off a chair. The ability to perform more complex tasks, called instrumental activities of daily living (IADL), is also assessed. These tasks include food preparation, shopping, housekeeping, laundry, financial management, medicine management, use of transportation, and use of the telephone. *These include living wills, ''do not resuscitate'' orders, and proxy appointments. 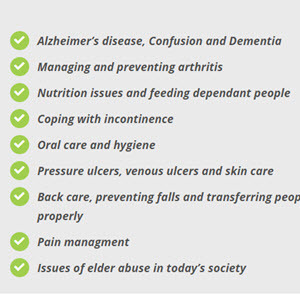 Certain questionnaires and scales have been validated with elderly persons and may be used to screen patients for affective disorders such as depression or dementia. An example is the Yesavage Geriatric Depression Scale, which consists of 30 items (Table 25-1). Each of the patient's answers that matches the score sheet is scored 1 point. A total score from 0 to 9 is indicative of no depression;from 10 to 19, mild depression;and from 20 to 30, severe depression. The presentation of depression is not always classic, especially in older individuals. Symptoms suggestive of psychomotor retardation, such as listlessness, decreased appetite, cognitive impairment, and decreased energy, may be important clues. Finally, an assessment of mental status is required for all older patients. Memory deficits and decreased intellectual functioning influence the reliability of the medical history; therefore, evaluate mental status early in your assessment. Casual conversation is rarely sufficient for detecting cognitive impairment in elderly patients. All older patients should be screened with the use of a validated instrument such as the Folstein Mini-Mental State Examination. * This test evaluates five areas of mental status: orientation, registration, attention and calculation, recall, and language. Scores of 1 point are given for each correct patient response. In the domain of orientation, knowledge of the date, day, month, year, and season would score 5 points. The maximum score for the complete test is 30. Scores greater than 24 are indicative of no cognitive impairment; patients with scores of 20 to 24 need further testing. Scores lower than 20 are indicative of cognitive impairment.